A special education paraprofessional, also called a teacher's aide or assistant, is a classroom teacher's right hand man (or woman). Students who receive special education have Individualized Education Plans (IEPs) that may require them to receive modified or different instruction than the rest of the class. A paraprofessional is an ideal job for someone who wants to work with special needs students in a classroom but does not have teacher certification. Often, the classroom teacher determines a paraprofessional's daily job assignments. Specific job requirements vary from district to district and state to state. A special education paraprofessional may lead a small group in instruction that is different than, or modified from, the instruction given to the rest of the class. The paraprofessional may assist one student who needs extra help or reinforcement, or one who is working on an assignment different than the rest of the class. The paraprofessional may simplify or redesign materials for students with special needs. He may enlarge the font of a worksheet, create a word bank for a fill-in-the-blank activity or modify a multiple-choice worksheet to include fewer choices. Another part of the paraprofessional's job may be to implement and record data focusing on a specific student's behavior plan, as mandated in the student's IEP. The paraprofessional may be responsible for standing in the hallways during class changes in order to preserve order and ensure safety. She also may be asked to help monitor large groups of students during lunch or recess. Weber, Lisa. "Specific Duties of a Special Education Paraprofessional." 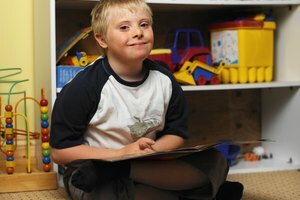 Synonym, https://classroom.synonym.com/specific-duties-special-education-paraprofessional-4915452.html. Accessed 23 April 2019.